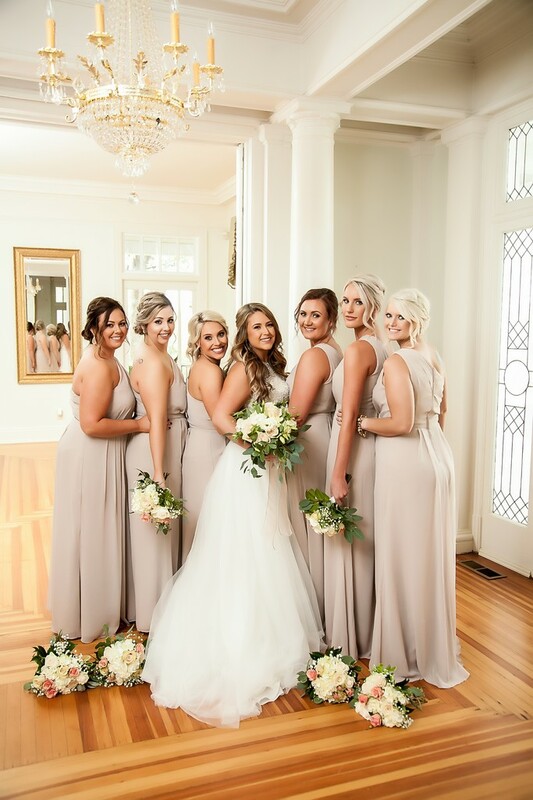 There's nothing better than getting a breathtaking shot of a bride with her bridesmaids! All of this light is added, and wouldn't be possible with natural light. We try to take lighting to the world class level, and it really shows in photos like these. Location: 2000 E. River St, Anderson, SC.